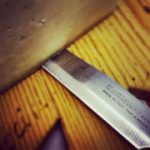 Last Updated Dec 2018- When it comes to grilling, it’s not just about the taste. Cooking up some burgers or hotdogs in your backyard with your buddies and a beer is a wonderful experience. You get to enjoy a nice evening outdoors with great company and pretty good food. You can apply the same logic to tailgating, barbecues in the park, and other outdoor eating extravaganzas. It’s not just about the taste. 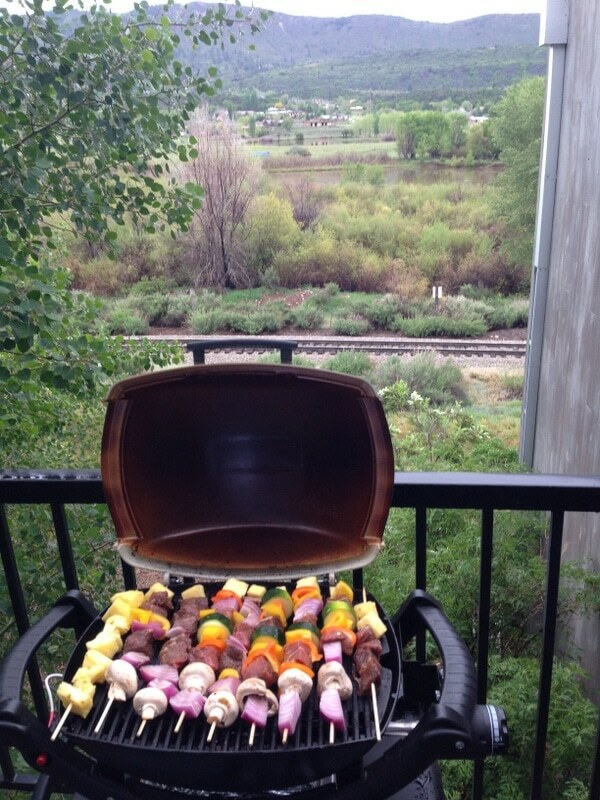 As a result, you can often get away with a pretty inexpensive grill. As long as it outputs plenty of heat, you’ll do fine with basic backyard foods. Even fancy steak and fish don’t taste any different if they’re prepared on a cheaper propane grill. Sure, the heat might not be as even, the lid might not trap as much heat, and the grill might have fewer amenities, but your steak will still taste pretty darn good. If you’re looking to set yourself up to cook with friends and family, don’t rush to spend a lot of money! Here are three of the top propane grills available for less than $200. All three of these models are perfect for tailgating, family outings, and cooking dinner in your backyard. You’ll have plenty of money left over to splurge on lots of fun food to grill! This portable grill comes folds up easily for travel. It’s got its own folding stand (complete with wheels) and two stowable trays that are invaluable for cooking on-the-go. With plenty of heat and easy push-button ignition, you’ll have no problems using this bad boy for tailgating and park outings. When I say that this grill has plenty of heat, I really mean it. On the highest settings, you’ll actually start to damage the grill due to the impressive heat that this unit puts out. Coleman has included these high heat settings for use with different attachments you can purchase to replace the traditional grill top. If you’re using a regular grill grate, you shouldn’t ever need to go over medium heat. It’s still plenty hot. 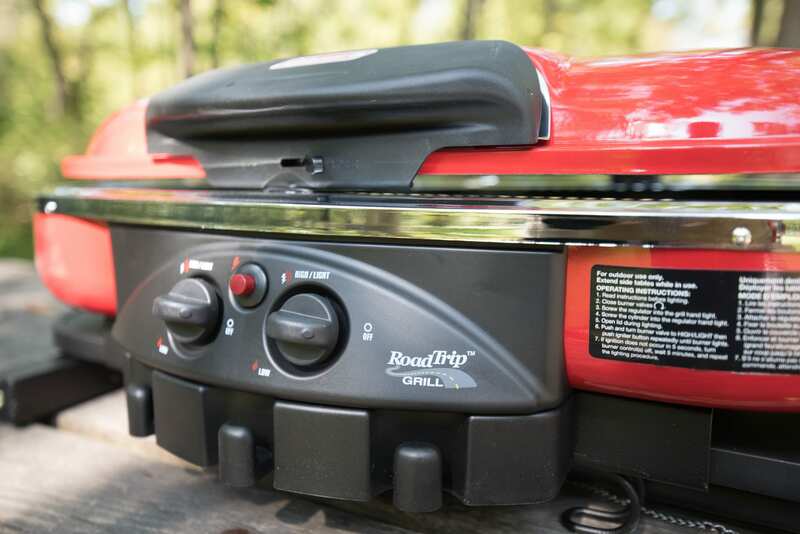 One of the reasons I recommend this grill so highly is how easy it is to use on the road. You can throw this in the backseat of your car and be ready to grill in just a few seconds once you reach your destination. With a little bit of engineering, you can even hook it up with your RV as a propane source. When you’re done with your cooking, it’s very easy to wipe off the non-stick porcelain surfaces and fold this grill back up for storage. Perhaps the biggest downside is that the lid latch doesn’t work quite as well as you’d like it to. This doesn’t impact how you use the grill in any way. You’ll just want to use a bungee cord or other wrap to keep it closed while you transport it. If you’d like an incredibly convenient portable grill, this Coleman Road Trip is an excellent choice. You’ll love the convenience it offers and the incredible performance it delivers. This compact metal grill is cheap, small, and practical. While it doesn’t offer the stand or trays that the Coleman does, you can easily throw it in your backseat all the same. It’s robust, powerful, and perfect for occasional outdoor getaways. As I mentioned earlier, the Coleman above has two problems. The high heat levels are far too high, and the lid tends to develop issues over time. This Smoke Hollow solves both of these problems. First, it’s got 10,000 BTUs of heat to the Coleman’s 20,000. This is still more than enough to sear steaks or cook burgers quickly, but it’s not enough to damage your grill. If you’re planning on sharing grill duties with friends or family members, this grill might be a safer choice. Second, the solid stainless construction holds up a bit better over time. 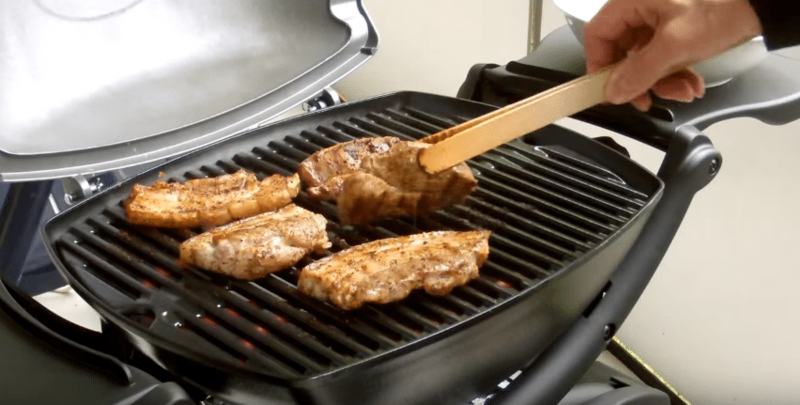 You’re much less likely to have to use a bungee cord to manage the lid of this grill. When it comes to functionality, this Smoke Hollow has everything covered. 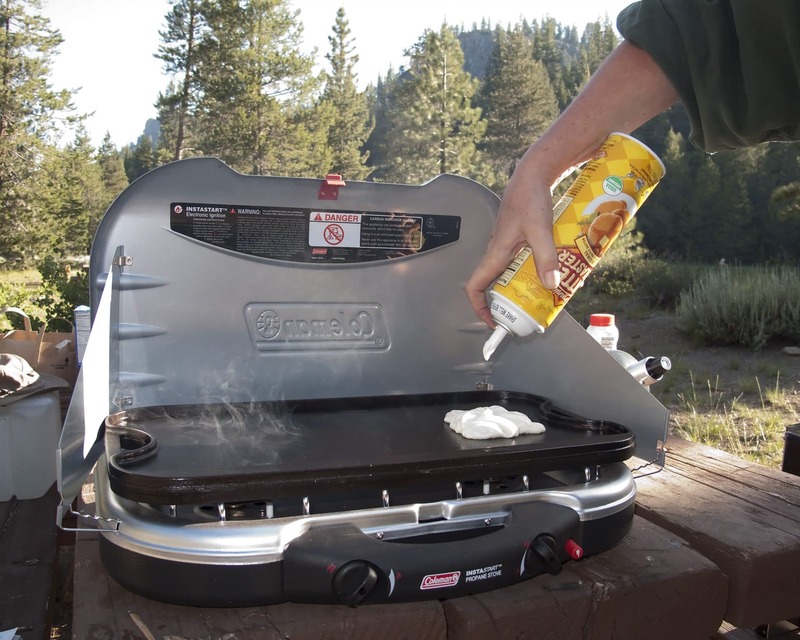 It’s got plenty of cooking area, fairly even heat distribution, and is very easy to clean off with a grill brush. It’s honestly impressive, especially considering that you can pick it up and store it inside when you’re done using it. If you prefer durability over convenience, this Smoke Hollow might offer an upgrade over the Coleman above. They’re honestly pretty comparable, so feel free to pick up whichever one is on a bigger sale. 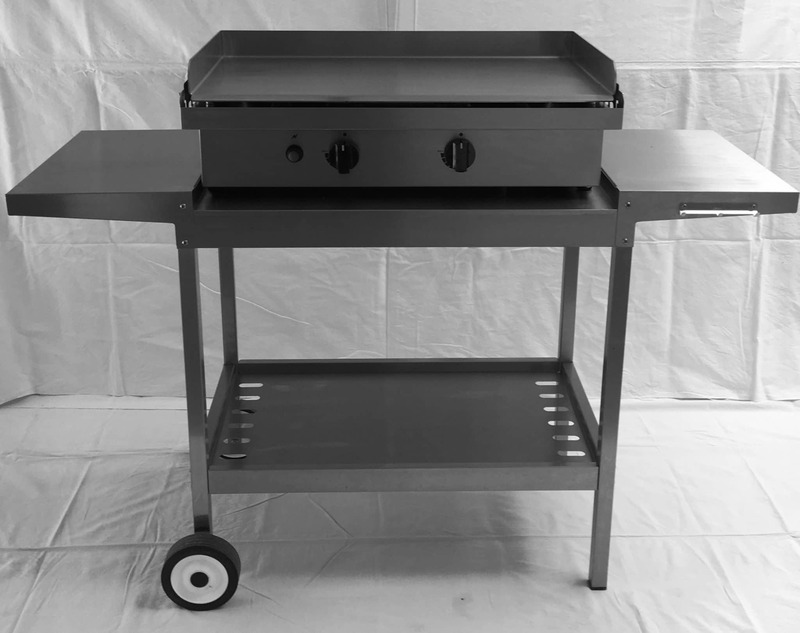 The only downside to this Smoke Hollow is that it doesn’t have very tall legs, so you’ll either have to place your grill on the ground or provide your own table. This device differs fairly substantially from our other two picks. The first two units on this page are extremely portable with grill grates above their heating elements. This Blackstone griddle has a solid flat top and is slightly more of a pain to transport. By “slightly” more, I really do mean only a small amount. You can remove the griddle top from this Blackstone and quickly fold up the legs. It’s still about two steps more than the Coleman, however. Since the Blackstone comes with high-quality caster wheels and a set of handy trays, I’m more than willing to overlook this minor inconvenience. There’s a small difference between griddle cooking and grill cooking, but the biggest change you’ll notice is that you can cook all sorts of foods on a griddle that just won’t work on a grill. 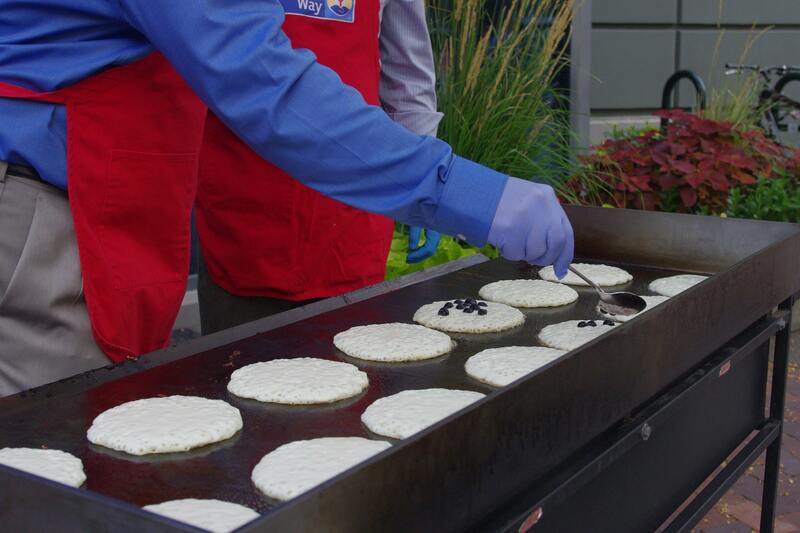 Pancakes, eggs, and other runny foods will stay in place on the flat top of this griddle. You’ll have a hard time getting grill marks, of course, and the lack of a lid makes it a poor choice for cooking with low, ambient heat. When it comes to hot dogs, hamburgers, and steaks, however, you’ll do just fine. The BTU output of this device is incredibly high. In order to help you control it better, there are two separately adjustable heat zones. This lets you keep food warm on one side while searing it on the other. It might not be a traditional grill, but this Blackstone griddle is a pretty serious cooking tool that’s shockingly portable. If you’d like to be able to prepare more interesting foods on the go, it’s a perfect pick. If you’re looking to get a new cooking device for your outdoor adventures, the grills on this page offer you plenty of power without costing you a whole lot. The Coleman comes with folding trays and legs, while the stainless Smoke House easily fits in your trunk. Finally, the Blackstone griddle gives you additional outdoor options when it comes to cooking while managing to be almost as easy to transport as the other two models.